Today it is all about to see high level Architecture and components and mainly about Data & Control planes. Where is your DLR & DFW components are located … etc. 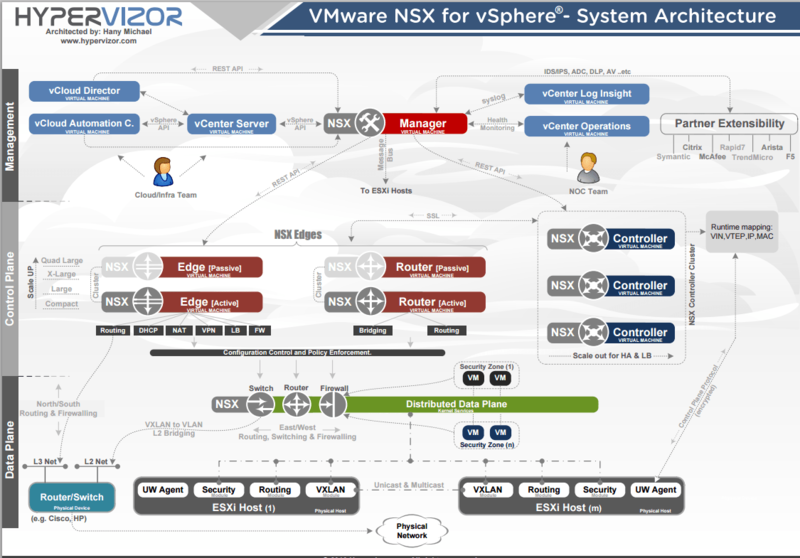 Hany Michael and he is Lead Architect at VMware created this Awesome diagram to help learners for better understanding. Enough of theory and let us explore the diagram.